After a long long time, I got a free weekend where I had the entire day dedicated to my love 'crafting'. So, I made this photo frame for a friends' friend who recently underwent a surgery. 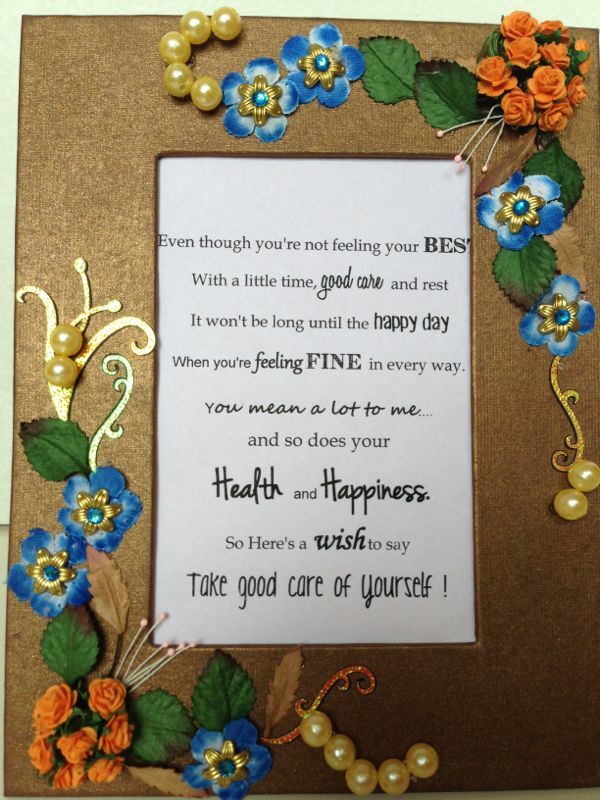 This handmade paper frame was sought of a replacement for the usual get well soon bouquet. (Its really a great way to show somebody that you really really care for them because it will stay with them forever unlike flowers which will perish in sometime). So, I made it floral. Orange flowers really makes me feel happy and bright. I added the pearls as well as curvy stickers so as to give it a classy look. I then took a printout of the get well soon message and put it in place of the picture. The message can be replaced with a picture as well. The frame can also be used for gifting on any other occasion!! Feed backs are always welcome!! Great project.Love how you embellished the frame. Thanks for joining us at the Sparkle N Sprinkle Creative Challenges this month. What a great creations. 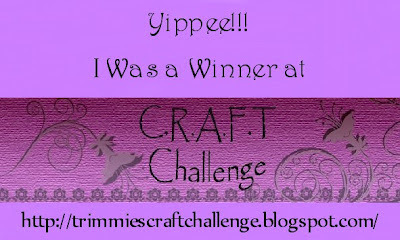 Thank you for coming over and joining in with us on our 11th Challenge at Rhedd & Rosies Challenge Blog. Beautiful frame!!! Thank you so much for joining us at Cupcake Inspirations this week! Good luck! Great frame. 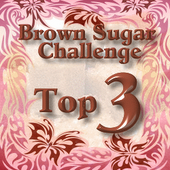 Thanks for joining Our challenge at Brown Sugar. Good luck. This is so beautifully adorned with such pretty flowers and your friend will definitely know you care deeply receiving this. This is so perfect for our CARING theme this month. Thanks for sharing your talent with us and good luck. What a nice idea! This is very pretty! Thanks for playing with Just Us Girls! Pretty flowers on your frame! Thx for playing with us at Papercraft Star! 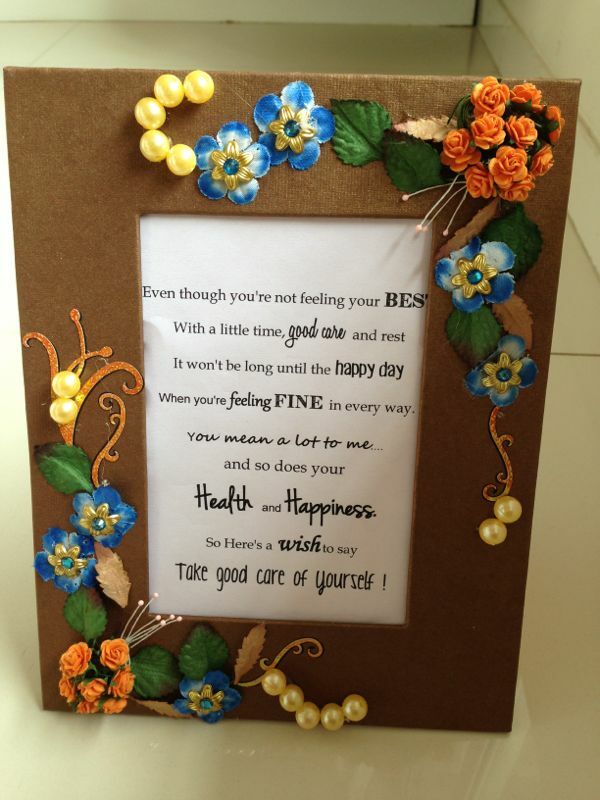 Such a pretty frame, your friends is going to love the thoughtfulness that went into its making. Unfortunately, there is no House mouse, Gruffie or Happy Hopper which is a requirement to play at House Mouse and Friends Monday Challenge. Don't you just love decorating plain frames? This looks lovely!!! Thanks for playing along with Just Us Girls, hope to see you again. Lovely creation and colouring. Thank you for joining us at CRAFT Challenge this week. So pretty!!!!!!! 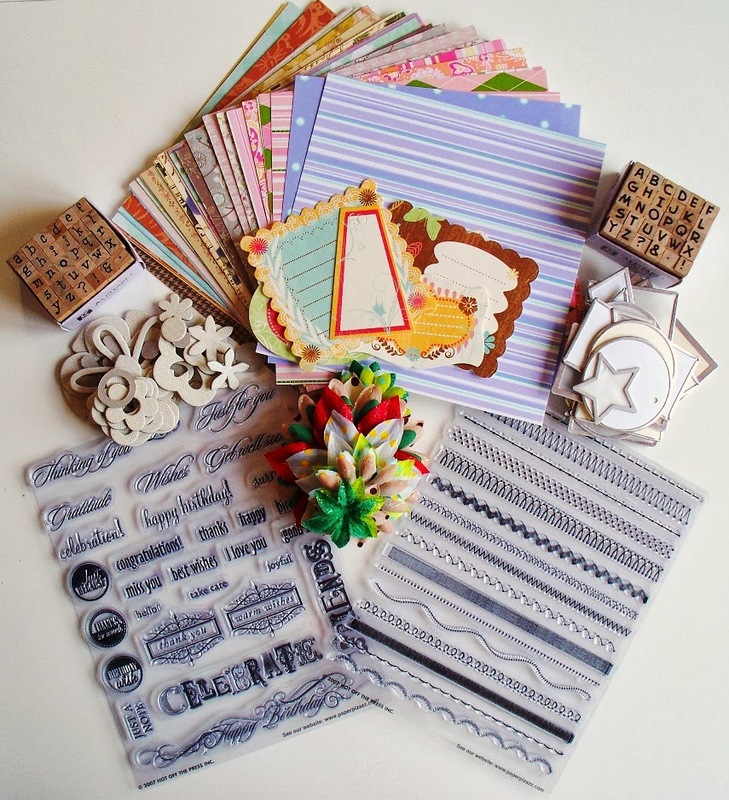 Thanks so much for playing along with us at Papercraft Star. 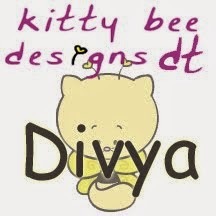 Divya, what a beautiful creation. Your friend's friend will be sure to love it. I agree that this is much better than a get well soon bouquet. Definitely a great way to tell someone you care about them and besides the recipient will still get flowers, they are just on the frame. Thank you so much for joining this month on the Path of Positivity. I'm so glad that you found my challenge and I hope that I will see more of your beautiful creations in the future. Wonderful altered frame. The flowers are so lovely. 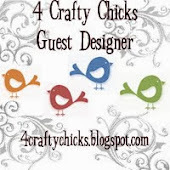 Thank you for sharing this with us over at the Papercraft Star.